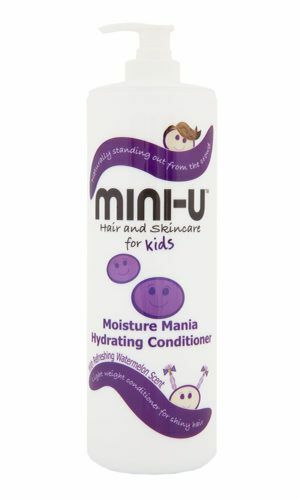 When you’ve discovered Mini-U hair and skincare is the product for your family you’ll never want your kids to leave home without it! Never fear, we’ve got you! Introducing our NEW Mini-U travel set, including our refreshing watermelon Moisture Mania shampoo and conditioner as well as our Mango scented Innocence hair and body wash all in perfect 100ml hand luggage size bottles, presented in a zip up mesh bag. The perfect set for an overnight trip to Nanny and Grandads or a weeks family holiday! Included in our new zip up mesh bag travel set you will find 3 x 100ml bottles perfect for traveling with a family. Moisture Mania Shampoo: Our NO nasties NO nonsense mix will leave dull locks looking healthy, shiny and softer than your teddy bear. For the most dazzling results team this up with our Moisture Mania shampoo and as they come as a pair they smell of the same delicious aroma, refreshing Watermelon. 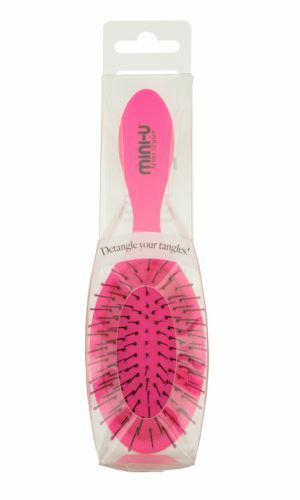 Be ready to share your secret to fabulous hair with everyone – well everyone with hair! ADDED BONUS – Our Moisture Mania duo is very light weight for all hair types. Moisture Mania Conditioner: Our NO nasties NO nonsense mix will leave dull locks looking healthy, shiny and softer than your teddy bear. Innocence Hair and Body wash: Our NO nasties NO nonsense mix makes washing the hair and body quick and simple, with a yum Mango aroma, at last you kids will love getting in the shower… or bath, you decide we don’t mind. TOP TIP – Innocence is great for washing short hair styles like hairy coconuts!